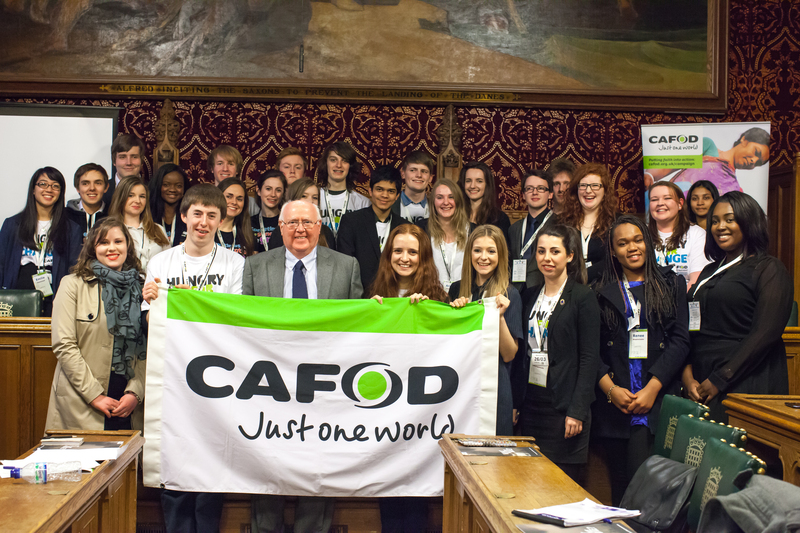 Young CAFOD supporters from the Diocese of Plymouth have given politicians food for thought at a meeting in Parliament on the issue of global hunger. Two students from Plymouth Schools Alastair, from St. Boniface’s Catholic College and Caitlin from Notre Dame Catholic Girls School, were amongst thirty-four students who met MPs and peers at a national event in Parliament on Wednesday 26 March. The event was organised by CAFOD as part of our Hungry for Change campaign – calling on the Prime Minister to provide greater support to small-scale farmers, who are being hit first and worst by the effects of climate change. The young people toured the Houses of Parliament, watched Prime Minister’s Questions, and had a private audience with the Speaker of the House of Commons, the Rt Hon John Bercow MP. Before visiting Parliament, the students took part in workshops to learn about how campaigning can make a difference to the decisions taken in Parliament, as well as how they could use the trip as an opportunity to put their faith into action. CAFOD’s Hungry for Change campaign calls for major changes in the global food system so that it benefits everyone. CAFOD supporters are calling on the Prime Minister to champion empowering aid for small-scale farmers, especially women, and checks on the power of global food companies. An estimated 870 million people worldwide currently go without enough food, and the extreme and unpredictable weather associated with climate change is making the situation worse. “In the aftermath of the international recession, the argument is ‘how do we find the money for foreign aid?’ But we have a responsibility to the poorest people in the poorest countries. 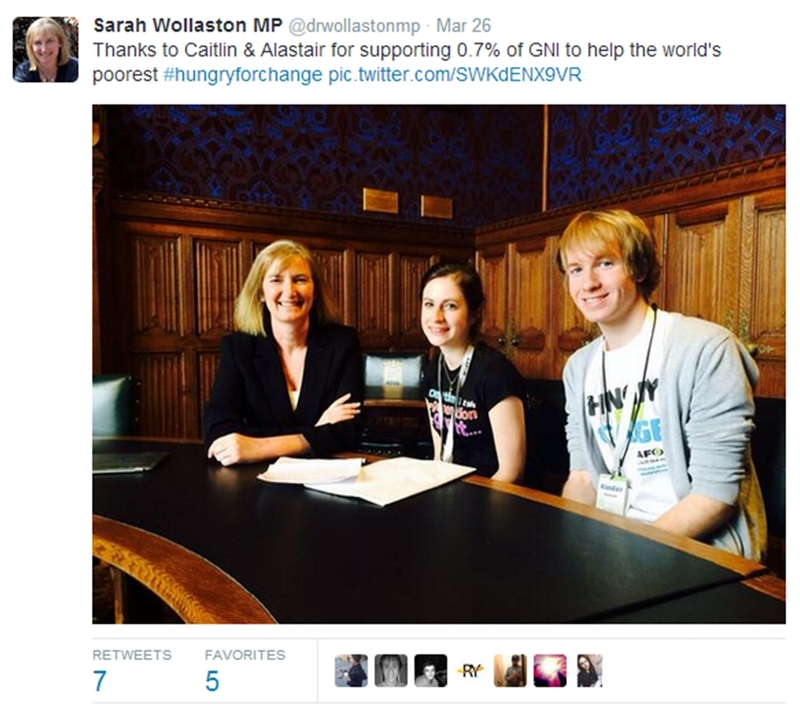 This entry was posted in Campaigning, Education and tagged advocacy, aid, aid work, CAFOD, CAFOD PLYMOUTH, Campaign, MP, News, St Boniface’s Catholic College, Successes by CAFOD Plymouth. Bookmark the permalink.